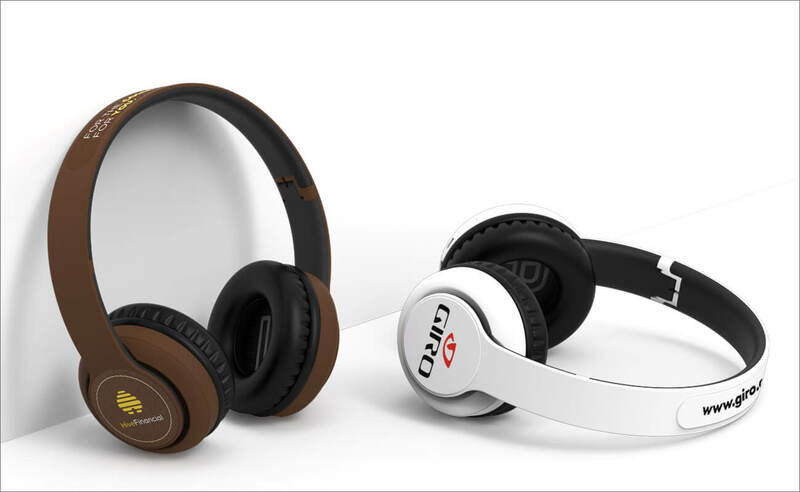 We are delighted to announce the launch of our Flashbay-designed Bluetooth® Headphones; the Mambo and the Nappa. Providing tremendous sound quality and volume, we are extremely proud of our latest Audio offering! Bold, colourful and distinctive, both the Mambo and the Nappa are a fantastic way to promote your organisation via the three large branding areas available. The Mambo is available in our eight standard colours, and your logo, slogan and website address can be Screen Printed on the ear-cups and headband area. The Nappa features a beautiful leather trim on its branding areas, and is available in black, brown and white. With a convenient folding-up feature that allows for the headphones to be easily packed away, and a fashionably funky design to flaunt, you can be sure that your Customers and Clients will be parading your brand all over the place! If you would like to find out more about our Audio range, or any of our other products, please fill out our Quick Quote Form and a dedicated Account Manager will be in touch with you shortly.